Since 1978, when Deng Xiaoping, China’s Vice Premier and military leader began to modernise China by implementing reforms based on his political ideology, ‘socialism with Chinese characteristics’, the country has undergone significant economic and cultural change. Deng executed this new brand of socialism by freeing up markets and introducing material incentives while still granting the State full control over the country’s economy. Deng’s reforms lifted several million Chinese citizens out of poverty. His legacy was the country opening itself up to rapid economic growth and, as a result, competing with the rest of the world. 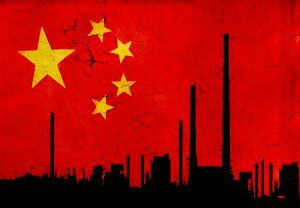 In 2017, the international community watches China with intense scrutiny, as the country’s unprecedented growth rate begins to slow and a ‘new economic normal’ begins to appear. In the last fifteen years, the country of 1.3 billion doubled its economic output, becoming the largest economy in the world. This is an unparalleled feat for a developing nation in the 21st century. Over the last two decades, as the economy surged forward, the political structure that sits at the heart of China’s economic prowess has become a key focus of international attention and controversy. This alternative governance model, known as meritocracy, needs to be closely examined if we are to understand China’s rise to superpower. From Confucianism to meritocracy: a Chinese tale. The Communist Party of China (CCP) has transformed itself from the revolutionary party to the governing party, implementing both political and economic reform. In so doing, they have borrowed from an ancient Chinese political system known as meritocracy. Confucius (551–479 BCE), China’s most influential philosopher, held the revolutionary idea that nobility of virtue should replace nobility of blood. The ideal traits of a virtuous and successful political leader are that they must be capable, upright, fair, benevolent and willing to work for the common good. Although in his lifetime Confucius did not see his ideas widely implemented, over time his ideas received official sanction and were developed into a system that became known as Confucianism. In his controversial book The China Model, Daniel Bell, an American Professor at Tsinghua University, presents a powerful argument in support of China’s meritocracy. He defines meritocracy as the idea that a political system should be designed with a selection mechanism to choose leaders and that as a result they will hold above average abilities. He argues that while the system may still be evolving, the fundamental principles behind it are as good as liberal democracies and that in many cases China’s meritocracy supersedes the democratic alternative. Bell’s theory challenges notions held since the fall of the Soviet Union that all dictatorships eventually fall into decline or democratisation. He argues that instead of China’s government devolving as other dictatorships have, it has in fact evolved into a meritocracy, a successful alternative to liberal democracy. Bell suggests that in its ideal, China’s meritocracy would be a ‘vertical democratic democracy’. At the lower levels of bureaucracy, a close connection with the people is particularly important so that comprehensive participatory democratic elections are held. At the higher levels more emphasis is placed on rationality, virtues such as concern for the people and a practical attitude, with experimentalism in the middle. Politburo members are expected to set a model of corruption-free rule. Bell stresses he is not a defender of the CCP and is in fact concerned with the lack of transparency, freedom of speech and the way in which local elections are carried out. However, he argues the meritocratic system in China offers a successful alternative to liberal democracies. Bell’s theory is an idolised version of the current system; a blueprint of an effective structure that would threaten the prominence of liberal democracy. This argument highlights the position that in a democracy voters are fundamentally fickle. They are prone to being swayed by their own self-interests, manipulated by ambitious candidates and unable to make a decision based on merit. To Bell, voters are also susceptible to apathy, rendering their vote ignorant and useless. Such flaws ensure a democratic system cannot possibly guarantee that the most suitable candidates are always given the opportunity to govern. Bell’s criticism isn’t just directed at the agency of the individual voter. It is also placed on the surrounding collective culture democracy fosters. Democratic systems place an emphasis on the individual rather than the common good. ‘One person one vote’ emphasises individual choice, a notion that he argues is at odds with ‘Asian values’. To emphasise this he highlights the contemporary state of Singapore where the collective emphasis is supposedly on the common social good or community rather than individual wants. In his view, democracy isn’t just fundamentally flawed but is also inconsistent with an Asian idea of what constitutes good government. Bell argues that if a referendum were held in China on whether the country should adopt democracy, it would fail. This idea is central to his overarching argument: if the meritocratic system is in fact preferred by the people, it therefore secures legitimacy and is immune from arguments suggesting it is authoritarian and oppressive. Bell gathers a list of additional flaws: short election cycles tend to ensure a turnover of talent; politicians are prone to making short-term decisions to secure political support and tenure; the influence and power of lobby groups circumnavigating the public interest and the increasing trend of government through market research and the simplification of complex issues through sloganeering. In democracies, Bell argues such things dominate political discourse rather than meaningful debate. It is important to highlight these complex institutional flaws that are inherent within every democratic system. As Timothy Garton, Professor of European Studies at Oxford University pointed out during a panel discussion run by the Asia Society at which Bell was present, while some debate China’s meritocracy as currently evolving, the flaws found in many liberal democracies can also be found within the current Chinese model. The China model in its current form is highly susceptible to corruption, and the selection criteria for public servants is also compromised by factional disputes and a monopolisation of power by political families. A comparison of both systems, based on these factors, would arguably render them equal on that level at least. If both systems share similar flaws, it cannot be argued on the practical level that meritocracy is a positive alternative to liberal democracy. If the sole key performance indicator of a successfully run state is strong economic accomplishments and stable governance, then it could easily be judged that the China model of meritocracy presents a viable alternative to liberal democracy. China’s re-emergence can be attributed to the consolidation of power by the CCP and its ability to maintain public order whilst advancing the country economically. Are these factors alone enough to make it a positive alternative though? If China has proved that a country can flourish through an alternative governing system to liberal democracy should it be rendered automatically as a positive? Embedded within the Chinese Constitution is Article 35, which states the right to freedom of speech, freedom of press, of assembly, of association and of demonstration. This is a common clause found in constitutions across the globe. The reality of restrictions placed around the Chinese people, however, is much more dire. While it would be easy to concentrate here on the internationally publicised Tiananmen Square incident in 1989, in which several hundred Chinese citizens lost their lives protesting against the Government’s ’lack of democracy’, the problem of restricting political dissent, freedom of information and media is not limited to this event. In 2016 Reporters without Boarders ranked China 176 in the World Press Freedom Index. At the same time Xi Jinping’s Presidency has been mired in media crackdowns and restrictions on independent journalism. The CCP exercises total control on all domestic media outlets. China’s global antagonist, the USA, also has the freedom of speech and the freedom of the press enshrined in its constitution. Whilst the USA is only ranked 47 on the Index, state control over media is severely reduced in comparison to China and the censoring of information far less widespread. A free press affords citizens access to truth and, at its best, works as a governmental watchdog. In its ideal, it guides and informs the free distribution of information and as a result acts as a constraint on political power. In the age of Trump, where news in the West is easily branded as fake, false facts are spread like wild fire over social media outlets and the traditional media faces fiscal pressures that threaten it’s foundations, a free and diverse press is fast becoming one of the major issues within Western governments. Yet, how slippery is the slope to state censorship? The CCP restricts the flow of information within the public sphere, therefore securing their complete influence over the populace. While the China model may frequently have the common good of the people embedded within domestic policies, it is also concerned with securing its own prosperity and longevity. As a consequence, it can restrict the civil freedoms of its people. It could be argued that the legacy of Tiananmen continues, not in the State-sanctioned murder of citizens, but in the repressive control placed on the majority of citizens that is not reported in the Chinese press. When civil liberties are taken into account, China’s meritocracy takes on some uncomfortable similarities to authoritarian statehood. As Stein Ringen, Emeritus Professor of Sociology and Social Policy at Harvard, stresses in his review of Bell’s book: at the core of this debate is an argument of power. Democracy’s ability to prevent the monopolisation of power by one person or one party is in essence its biggest strength. Ringen argues that a case for democratic government is twofold: firstly, the fate of a democratically elected government has a symbiotic relationship with public opinion, therefore the State will be more likely to act against oppression and persecution of its citizens. Secondly, governments are given a mandate by virtue of winning elections, which incentivises them to be more effective. Accountability is at the core of these two arguments for a level of responsiveness and effectiveness of democratic government. The government will be held to account for its actions by a free press, but perhaps more importantly, by a looming election year, thus it will strive to implement beneficial policies for the populace. By way of contrast, Xi Jingping attempts to further consolidate his power while at the same time not upsetting the general populace. As Ringen points out, this is an inherently more difficult political game to play. Less frequently mentioned however, is Churchill’s argument for democracy as insurance. Insurance against “dangers from abroad, insurance against dangers scarcely less grave and much more near and constant which threaten us here at home.” Here Churchill articulates the great democratic dichotomy. It will never be a perfected system. It has faults at its very core, but it also grants the insurance to the populace, giving them the civil freedoms necessary to fight oppression. Democracy is an imperfect search for human truth and universal freedoms. Meritocracy on the other hand, offers stability, and an economic efficiency, rendering it on many levels a viable alternative. A truly effective political structure, at the helm of a State that prospers, cannot be solely defined by economic strength; civil liberties must also be considered. The measure of a great and robust State is its ability to weather criticism from its populace and invite them to influence its future. Gilardi, Mauro (2017), Singapore: which Democracy? External Influence and Asian Values in the Formation Process of a Democratic Model, Babelcube Inc.